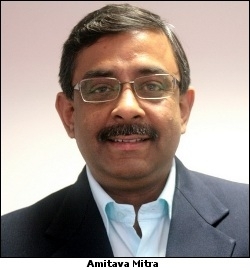 Percept/H announced the promotion of Amitava Mitra to Chief Operating Officer of the company with national responsibility wef. July 22, 2013. Amitava Mitra – a veteran and stalwart of the advertising industry has been in the organization for past 13 years and was heading the Delhi operations, which is the largest operation of the company. In his new role as COO, Percept/H, he will be responsible for overseeing the entire business of Percept/H, handling the national responsibility, as also providing strategic direction, creating opportunities for integration within and across the Percept Group and paving the roadmap for the overall businesses for the Percept/H vertical. Amitava joined Percept – Pune office in the year 2000 and was instrumental in starting the operation there. Later he shifted to Percept/H – Delhi branch office in the year 2003. Amitava has been directly involved with the creation & production of over 200 films and has launched over 100 brands with strategies ranging from the complete launch strategy and activities to promotions and events across the media spectrum. He has also been involved with the Indian National Congress for the last many years both during their national and state elections as also several government businesses and various Ministries. He was instrumental in developing the Bharat Nirman brand since 2007. Having a complete 360-degree communications experience in the sphere of advertising, brand planning, strategy, media, events, CRM, BTL activities, PR programs and films, Amitava has managed numerous prominent brands including DLF, Hero Honda, Canon, BSNL, Air Sahara, Bharti, Airtel Magic, Bharat Nirman, UIDA (ADHAAR), Indian National Congress, Rajasthan Tourism, MP Tourism, Yamaha, Boost, Indian Airlines, Vespa, Godfrey Phillips, Dabur, Pan Parag, Maltova & VIVA, Times of India, Bajaj Auto, Black & Decker, Birla AT&T, Sansui, Kenstar, Videocon and Toshiba to name a few. Amitava has also served as a guest lecturer at some of Pune and Kolkata’s premier management institutes such as SIMC, IIMM and ISB&M. With his vast expertise in the 360-degree communications, Amitava Mitra brings a wealth of ideas, knowledge and experience to help take the game of Percept/H on to the another level.. This entry was posted in NEWS & ARTICLES, SPORTS AGENCIES, SPORTS BRANDS and tagged PERCEPT INDIA, SPORTS AGENCY. Bookmark the permalink. This is a comment to the admin. Your website is missing out on at least 300 visitors per day. I have found a company which offers to dramatically increase your traffic to your website: http://nsru.net/188x They offer 1,000 free visitors during their free trial period and I managed to get over 30,000 visitors per month using their services, you could also get lot more targeted traffic than you have now. Hope this helps 🙂 Take care.